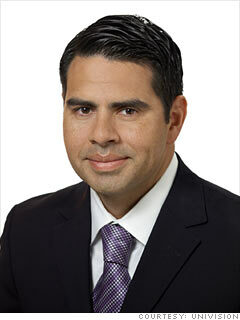 The Miami native of Cuban and Peruvian descent worked in M&A at Salomon Smith Barney, was president of his MBA class at Wharton, and took a leave from Univision to serve as a White House Fellow under then Secretary of State Colin Powell in 2002. When he returned in 2003, he began a rapid ascent at the media company, the fifth-most-watched network in the country. In August he was promoted to president of Univision Networks, adding to his duties oversight of programming and making him the heir apparent to Univision CEO Joe Uva. Gene pool: Brother Jorge is CEO of genome-sequencing company Knome.